Late last year, Nintendo released an interesting book to celebrate the 30th Anniversary of the Zelda series. Named The Legend of Zelda Breath of the Wild Master Works, the book was meant to be a celebration of the game and series as a whole, with artwork for numerous characters, enemies and places throughout the game. However, as it turns out, that’s not all the book has in store. 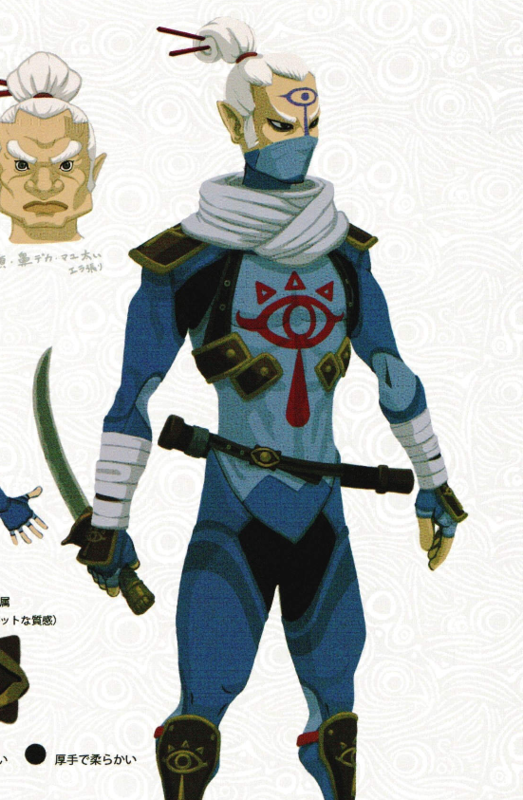 It’s not merely a collection of official art for Breath of the Wild characters. 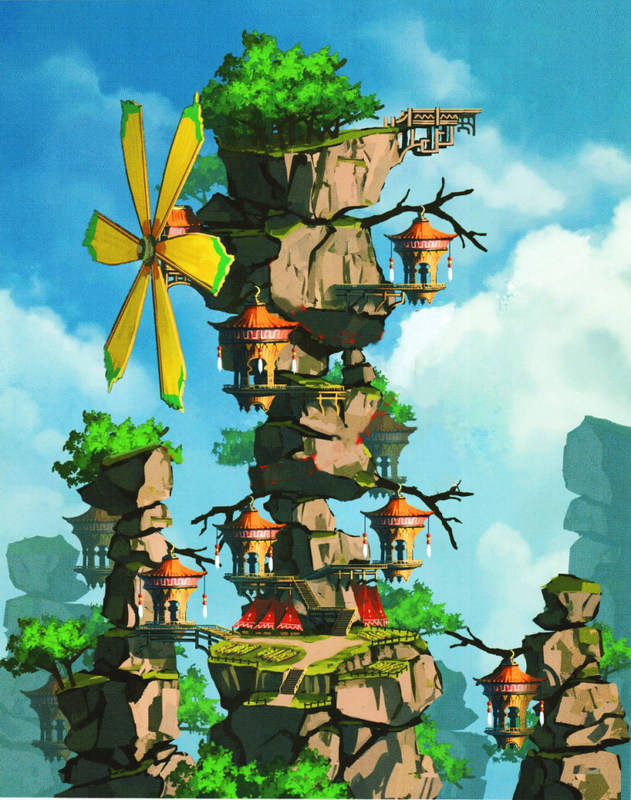 Nope, it has exclusive concept art for things from the game’s development too! From older versions of characters to unused Divine Beasts and enemies, the book is crammed with interesting details about the game you’d never know otherwise. And unfortunately, there’s no word on if it’ll be translated into English. As a result, it’s unknown when non Japanese fans will be able to see this artwork, or if they’ll ever be able to see it at all. Well, until now that is. 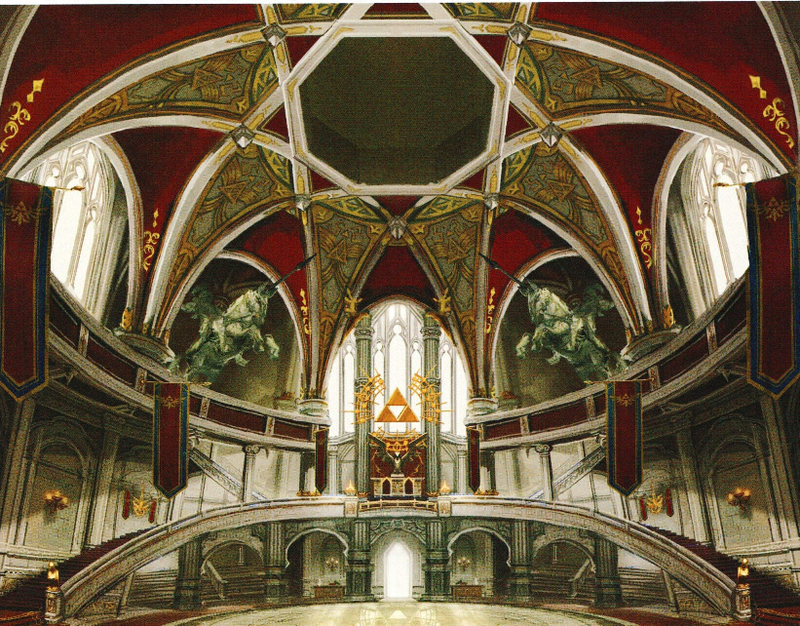 Because thanks to certain sources online, we’ve got a hold of much of this new concept art and have been looking through it for the best details on Breath of the Wild’s development and lore. So, in this article, we’ll be looking at some of these designs, and seeing exactly how different Breath of the Wild could have been had Nintendo not gone down their current route. Starting with the most well-known enemy in the game. Yep, the Guardians from Breath of the Wild didn’t exactly start out with their current design. Nope, way before their reveal trailer (the one which also showed Link in his Champion’s Tunic outfit), the enemies had some very different designs laid out by Nintendo. Such as these ones, which should look awfully familiar to die hard Zelda fans. Yeah, it’s the one from the Silent Realms in Skyward Sword. 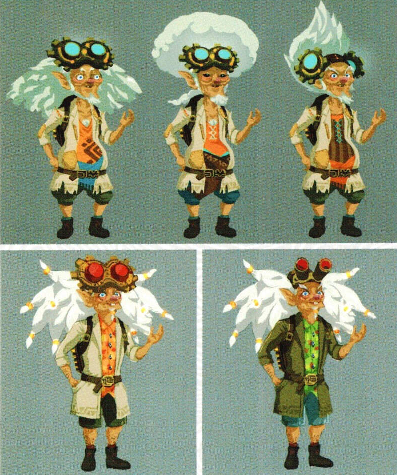 Seems like the Breath of the Wild ones really were originally meant to resemble their older counterparts here. 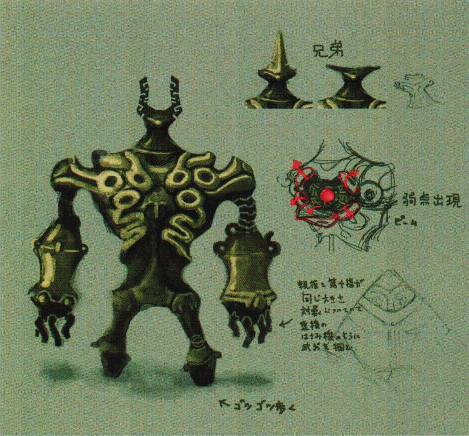 Indeed, it seems like most of the original plans didn’t have the robot aspect at all, and were going for much of a darker feel for Breath of the Wild in general. Wonder what version of the game was going to be like anyway? Ah well, there’s a topic for a day. Because as you’d expect, the Guardians weren’t the only fundamental part of Breath of the Wild’s lore that changed during its development. No, the Divine Beasts also changed a bit in development too. For instance, you know how at the moment, we’ve got Divine Beasts based on an elephant (Vah Ruta), a salamander (Vah Rudaniana), a bird (Vah Medoh) and a camel (Vah Nabooris)? As you can see, there are quite a few interesting beasts there. There’s a Manta Ray that can swim through the oceans. A giant enemy crab that was presumably meant to stand in for Vah Rudania at some point. And heck, even things like a jellyfish or dinosaur themed Divine Beast. 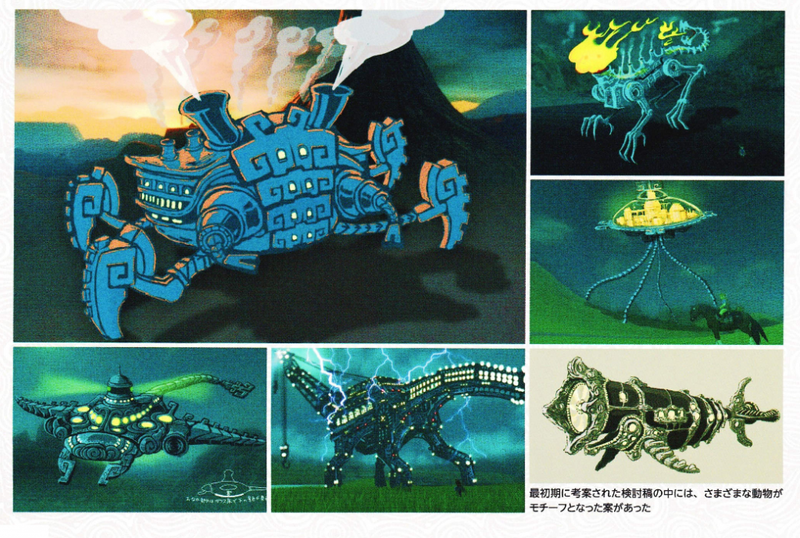 When it comes to finding animals to represent as giant mechs, Nintendo certainly left no possibility untouched here! But the most interesting one of the lot isn’t one of the unknown ones. 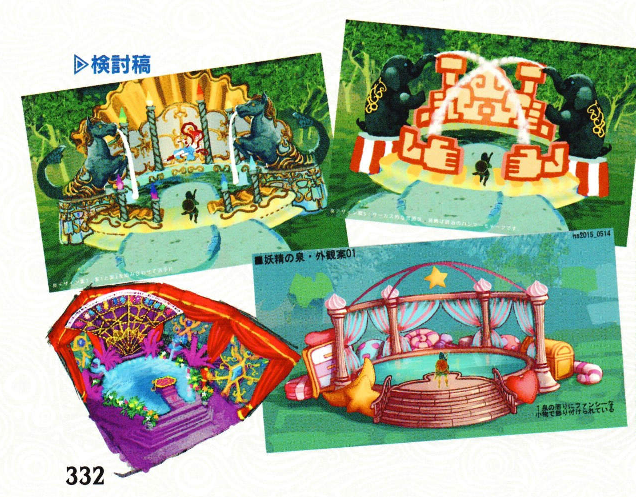 No, it’s actually the whale themed beast shown in the bottom right of the picture. Which in turn implies the developers cut it from the game quite far into development. And that may answer a question I’ve always had about Breath of the Wild. Namely… why are the beach areas so empty? Think about it. When was the last time you had to visit a beach like area in Breath of the Wild? You know, as part of the main story rather than a sidequest or optional shrine? The answer is probably never, since even Lurelin Village has very little to do in it. 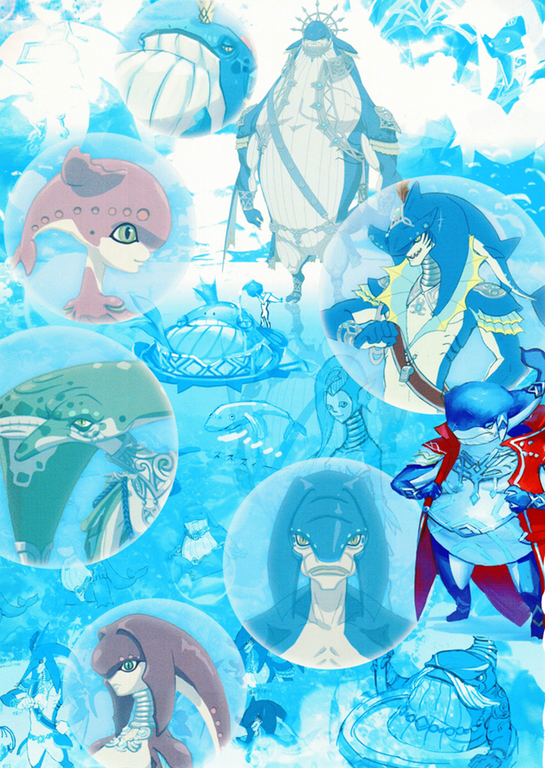 However, if a Divine Beast was originally meant to be located there (which the whale, jellyfish and manta ray ones likely were), that would have given the region some purpose, and tied it to the story of Hyrule overall. Heck, maybe Lurelin Village may have even once had its own Champion! Or maybe not. It’s hard to tell at this point. To a non ‘beta’ related topic also found in the book. Because you see, as neat as the beta content actually is, that’s not the only thing the book gives away details on. Nope, it actually includes a fair bit of backstory too, with pictures showing scenes that were never available in the game itself. Plus a few other pictures showing the castle itself in all its majestic glory. Damn, that place looked absolutely incredible in its prime, didn’t it? 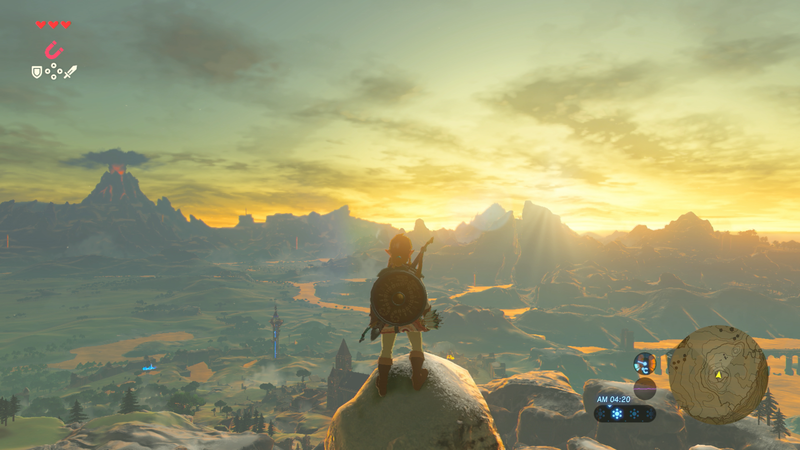 It really does make us want to see a full game set in this time period, with Link exploring a version of Hyrule right at its prime. Ah well, maybe it’ll happen later in the Switch’s lifespan! Either way, back to early development concepts now, this time with a character you’d never expect to see change all that much. Yep, as the subtitle suggests, Horse God Malayna also went through a few redesigns in the making of the game too. Was Malayna always meant to be a good guy? 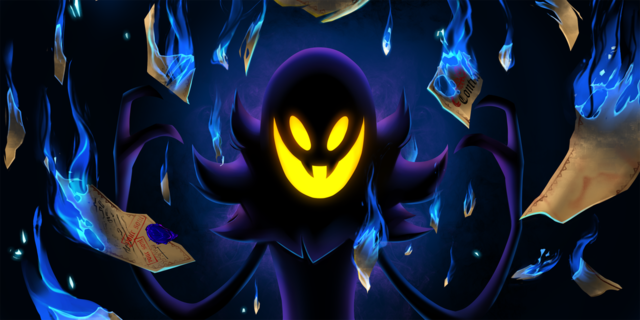 Cause with his creepy design and mannerisms, he’s also struck me as the sort of character you could almost see as a bonus boss. Heck, I almost expected him to fight Link after realising the latter killed his own horse! And the Lynel like designs just strengthen those suspicions. 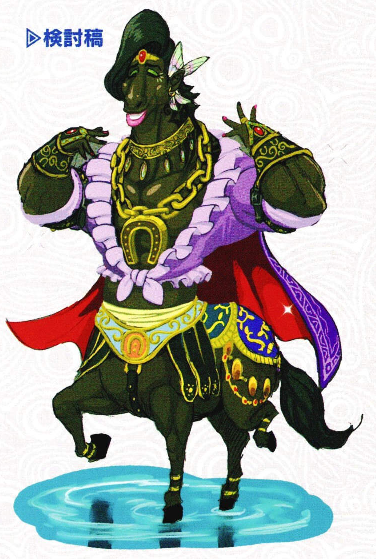 Perhaps he was meant to be a Lynel leader instead of a fairy, or the leader of the group who’d tell them to stop attacking Link after being bested in battle. You just have to wonder, don’t you? So, if you’re wondering where Sidon got his looks from, well wonder no more. Seems his dad was a lot cooler looking in his own youth too! However, not all characters changed as much as the Horse God or the Guardians. No, some like the Akkala Tech Lab’s Robbie mostly kept the same design throughout the game’s development. They’re certainly appropriate for the ‘mad scientist’ vibe he’s going for in game, but yeah, you can kind of tell why they went with the hairstyle they did here. It’s just impossible to take a character seriously if their hair looks this strange! Either way, onto some enemies now. Which unfortunately doesn’t leave us with many options here. You see, with the exception of the Guardians shown above, most enemy designs actually change all that much throughout the game’s development, at least not if the ones from this book are being taken into account. That means that there’s not much to say about the Bokoblins/Moblins/Lizalfos, nor about the Yiga Clan and their own members. However, there’s one notable exception to that rule. The Wizrobes. 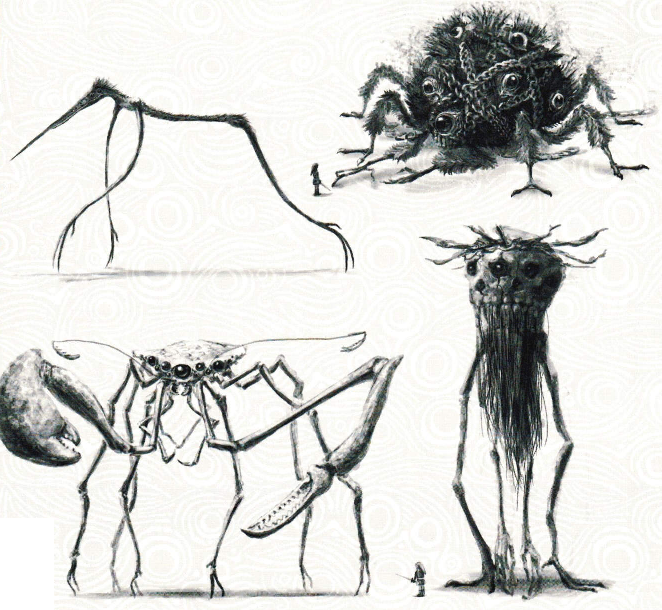 Indeed, unlike other enemies featured in the book, the artwork page for these guys shows all manner of early ideas for them, including more humanoid versions and ones with bird like features potentially inspired by their depiction in the Wind Waker. It’s like Nintendo were constantly throwing out different ideas for how these guys could look. But hey, what’s happened has happened, and Nintendo thought differently. Time to move onto something else! Which in this case is perhaps the ridiculous looking laboratory ever. 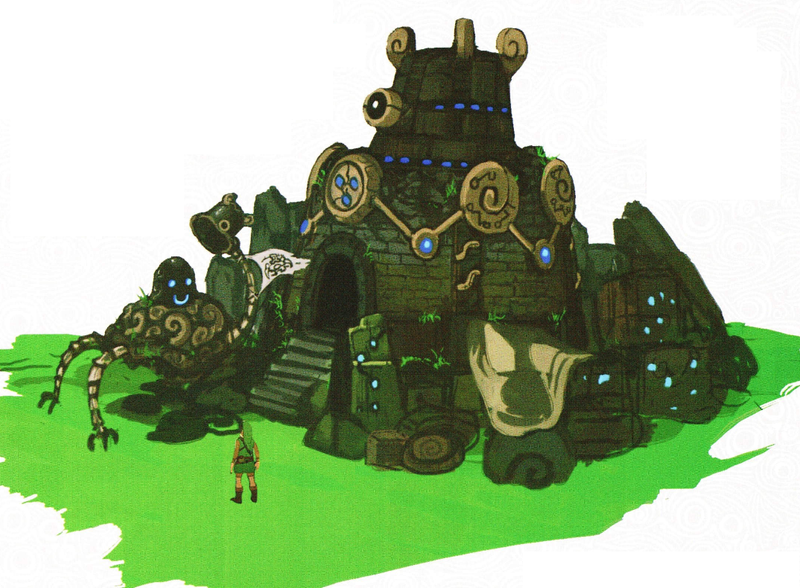 Yeah, the Hateno and Akkala ones weren’t exactly award winning in terms of architecture quality, but this concept for a lab is something else entirely. It looks absolutely ridiculous doesn’t it? It’s like Nintendo glued a bunch of parts onto a giant Guardian and thought “hey, that looks pretty cool” without taking a break and thinking over it a bit more. A creative concept to be sure, but one which I’m rather glad never made it into the finished game. 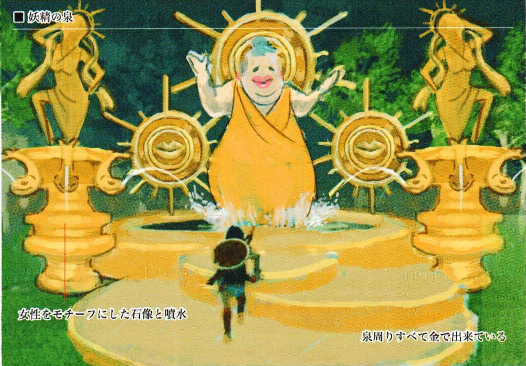 Continuing with the geography theme, another interesting bit of artwork shows some plans for Goron City early in the game’s development. For the most part it’s pretty accurate to the game, but well… can you figure out what’s different here? 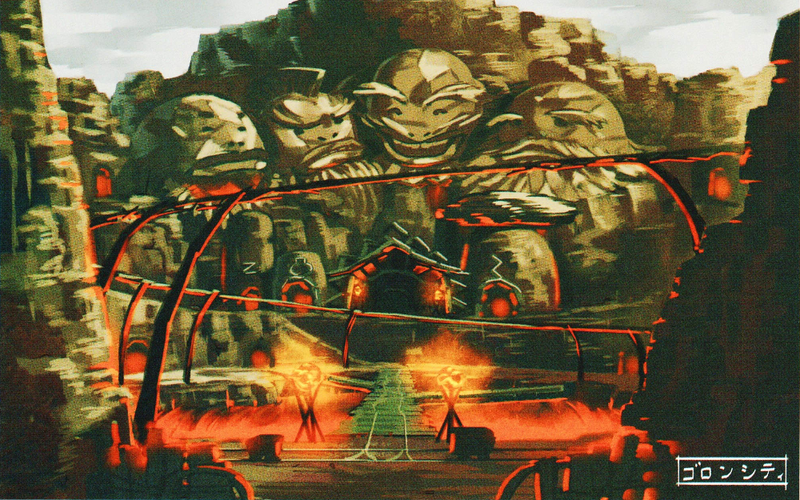 Yup, instead of just Daruk’s statue, there’s now a whole line of Goron heads carved into the mountain! It’s hard to tell exactly who they’re representing (are these guys meant to be ancient Goron sages? ), but it’s a neat concept none the less. Like a Goron version of Mount Rushmore! And heck, there’s even one in the book where the village has a mushroom theme. 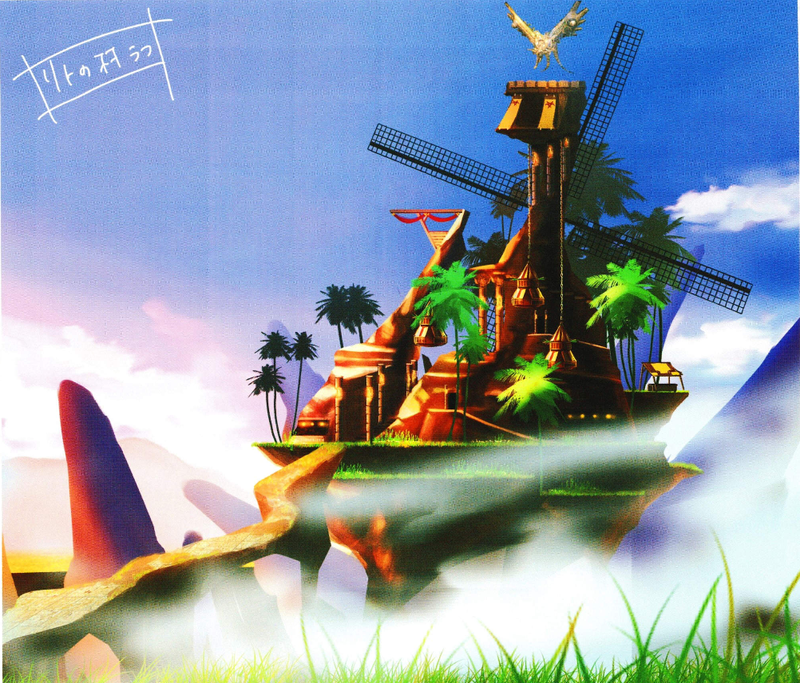 Huh, guess the Rito were big fans of the Mario series at one point in the game’s development! Talking of weird designs, the goofiness didn’t stop at the Guardian shaped tech lab in the design phase. Nope, Gerudo City actually had a few interesting inclusions at one point, namely brightly coloured Sand Seal merchandise! Brightly coloured sand seals were indeed a thing at one point. So why is this the case? Well from what I can make out, because Riju was originally meant to be more of a sand seal fanatic in earlier versions of the game. Indeed, in some concept art, she’s not just shown having tons of merchandise based on them (like the dartboard you can see above), but a whole fancy bedroom filled with merch and plushes everywhere you look. It’s an interesting contrast to the more regal version we see in the finished game, that’s for sure. They’re all rather interesting on a visual level, but again, they don’t really fit the feel of the game world and really did deserve to be replaced with the design we actually got. Back to characters now though. 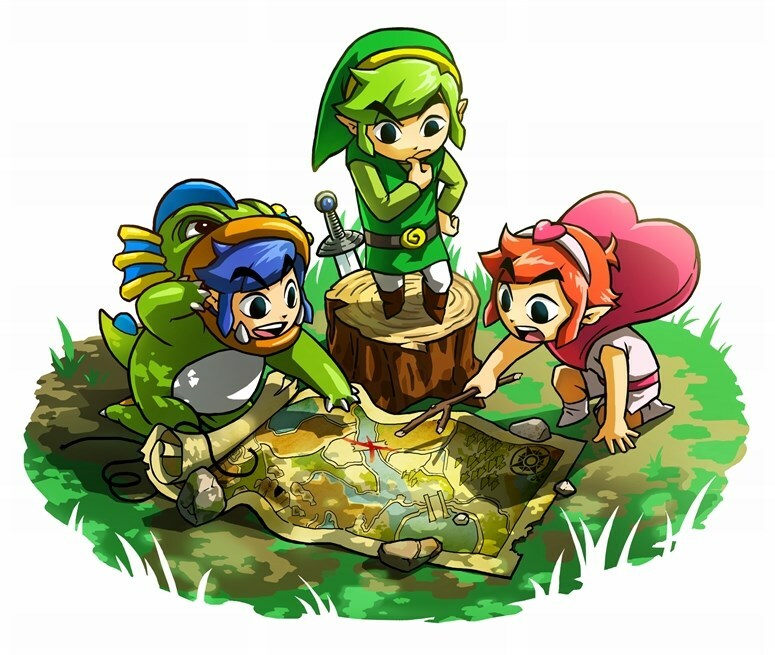 How did the main protagonists of the game change throughout its development? Honestly, not all that much for the most part. Link’s early designs were already shown off at GDC (it’s the one with him as a biker guitarist) whereas the Champions themselves mostly just get artwork showing them as they are in game. But there is one exception to the rule. Namely, Zelda herself. 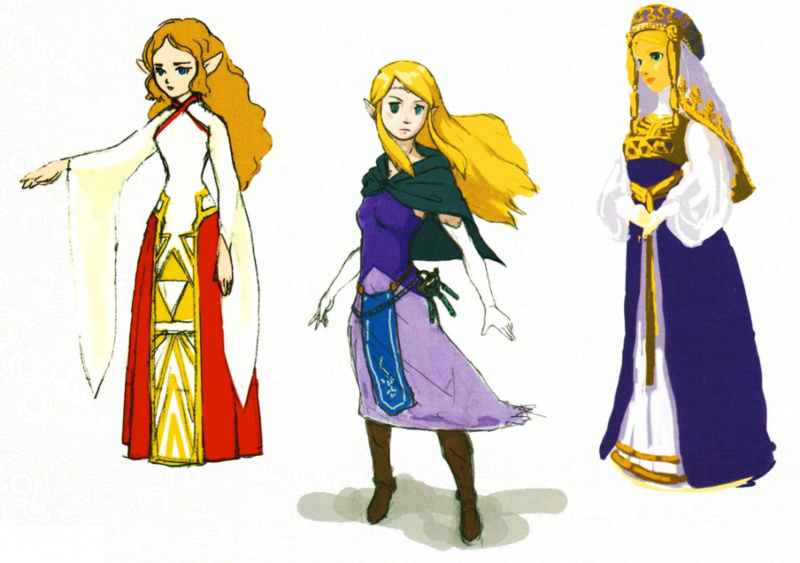 Indeed, unlike Link and the Champions, Zelda actually did go through quite a few design revisions over the course of the game. They’re an interesting set overall, and only some of the designs shown in the book in general. Indeed, it seems like the creators of this game had all kinds of ideas for where they wanted to take her this time around. 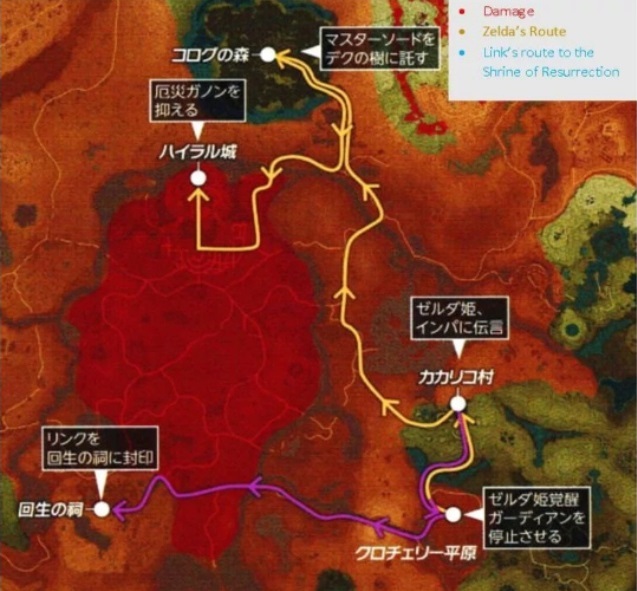 Or to be more precise, the full explanation of Hyrule’s backstory from the time before the Calamity all the way to the end of Link’s adventure. You see, whereas in the actual game there are quite a few gaps left for the player to figure out, the book actually goes and fills many of those in, with extra details and artwork showing things that happened behind the scenes. For instance, have you ever wondered how the Champions reached their Divine Beasts? Well, here’s your answer in map form. 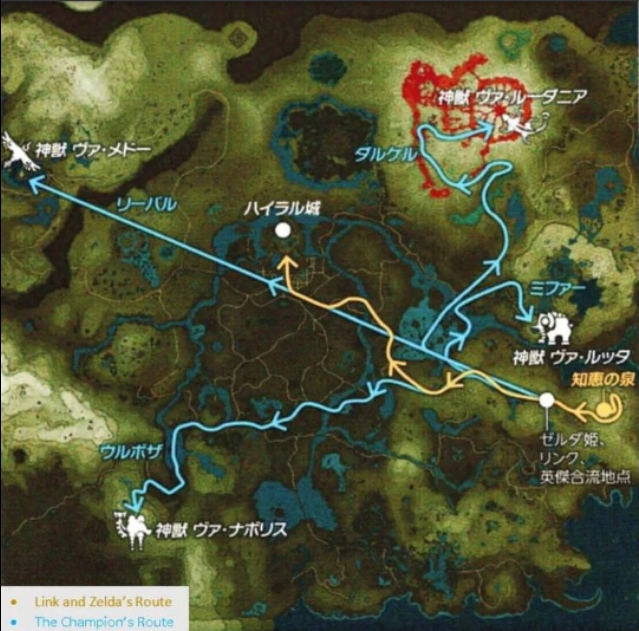 Apparently Revali flew straight to Vah Medoh, and the others followed roughly the same paths Link did to get to theirs. It’s a nice look at things we never see in game, and a neat way to explain the things fans have been wondering for a while now. Especially given the book also explains the game’s place in the timeline, among various other things of note. But hey, that’s enough from us for now. Because this article isn’t meant to replace the book. We’re not trying to save people the effort of reading it for themselves. We’re just posting interesting examples of early character designs that likely wouldn’t have been seen otherwise. So to let people enjoy the thing (and encourage them to support Nintendo), that’s all for now. 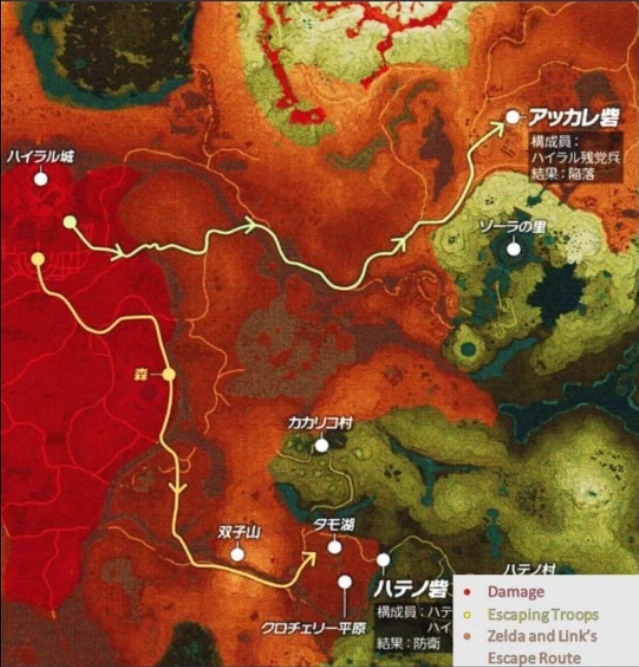 If you want to see more, go and check out The Legend of Zelda Breath of the Wild Master Works book, or find a source giving out everything else.